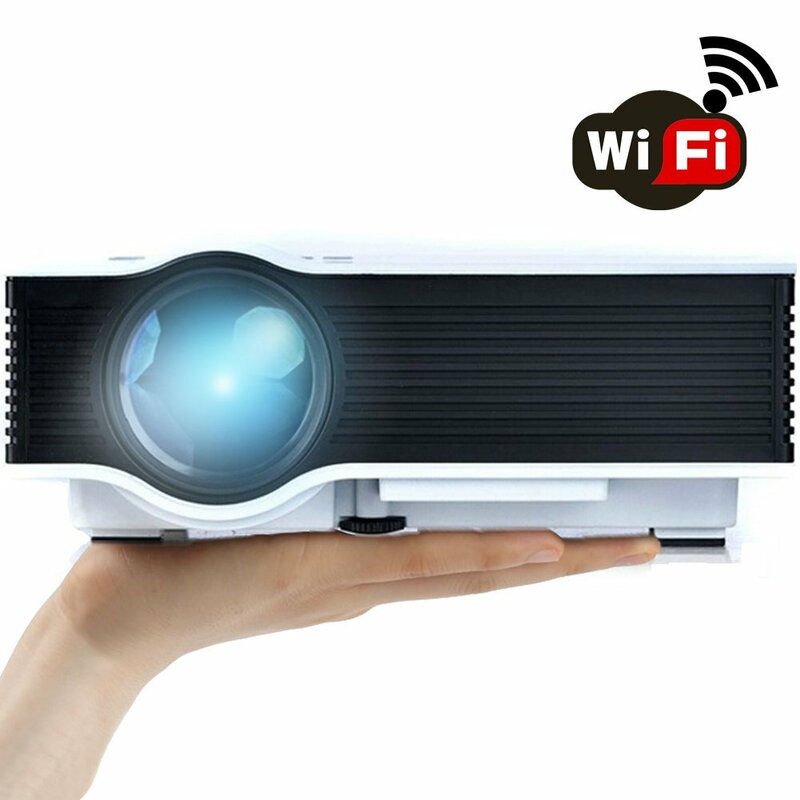 WiFi Wireless Projector with impressive warranty supports with wireless and wired connections. You don’t have to purchase a Wi-Fi dongle or MHL cable separately. This wi-fi wireless projector has image size of 36 inches to 130 inches with recommended distance of eight feet. Now you have a big screen to enjoy movies, crickets and TV series, you can share photos, videos and stream games from iOS/Android phone/tablet to ER46+ wireless. It supports PS2, PS3, xBox, Wii etc via HDMI cord, PC/laptop via HDMI/VGA cord.